Splicing the Mainbrace: Now in HD! 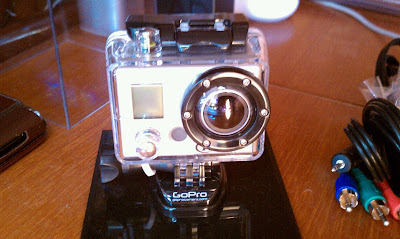 I just received this GoPro HD Hero digital camcorder. This thing captures full 1080p digital video--that's better than real life! It's waterproof to 180 feet and has several mounts for various applications. I picked up a mount for attaching it to the rails and a super stylish head strap for POV shots. Should be pretty awesome. Now I can show off my my killer sailing skills and I'll even strap this thing on next time I'm working on something interesting so you can see how I do it. I'll be launching a YouTube channel alongside this blog soon, so stay tuned.